Ever been utterly stuck for inspiration when it comes to an extra special romantic gift for that extra special someone in your life? Me too, but this was before I knew about Clare Florist's spectacular Hearts & Roses bouquet. This legendary floral arrangement features the finest pink and cerise roses with a decorative love-heart nestled in amongst the flowers. If you're looking to make a bold statement that demonstrates love and commitment, this is it. There are many different situations where this bouquet would make for a swoon-inducing gift, here are some examples! Got your eye on a beguiling beauty in the office? 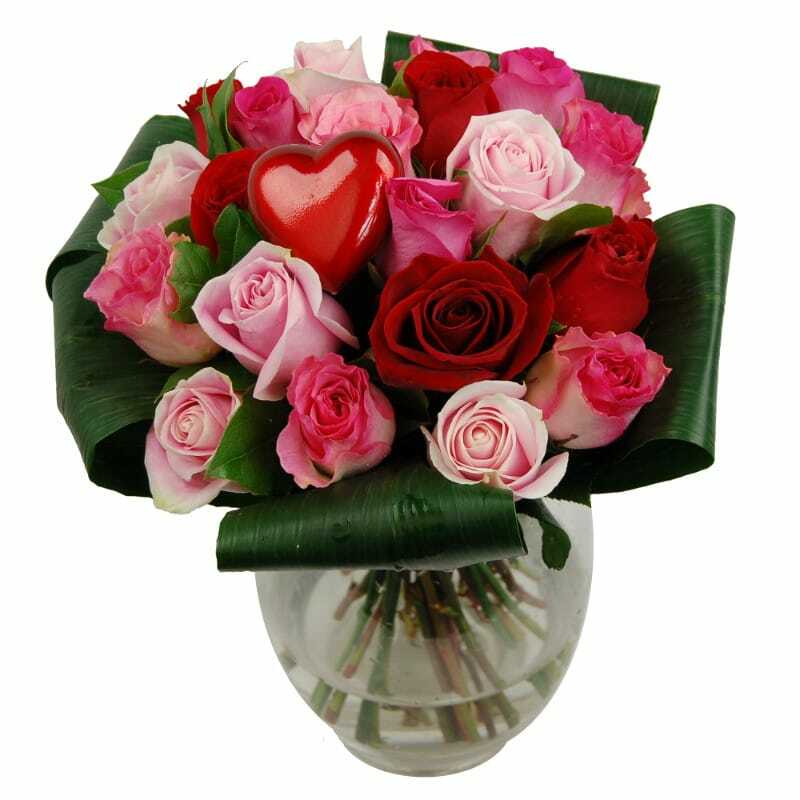 Send her the Hearts & Roses bouquet anonymously and then drop subtle hints as to the identity of the sender. Or else keep quiet behind a knowing smile and meaningful eye-contact. She's sure to be irrevocably wooed! One of the keys to a successful relationship is keeping romance alive. Little, unexpected gestures such as a bouquet of flowers out of the blue can have a huge impact, helping to stoke the embers of romance and ensure lasting harmony within your relationship. Birthday, anniversary or other special day coming up? Gift-hunting can be stressful, especially if you are shopping for someone who has it all, or who is just plain fussy. You can never go wrong with a bouquet of flowers though, especially one as unique and visually-arresting as the Hearts &Roses bouquet. As you can see, there are plenty of reasons to send this bold and beautiful bouquet. If you're in the mood to really go all out and spoil your significant other, don't forget that you can add chocolates, a vase and a handwritten card to your order. Free standard next day delivery is included with every order to make sure your special gift arrives promptly.